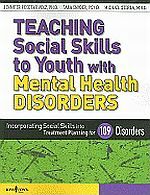 Building on the author's popular 5-Point Scale, this book takes a narrower look at challenging behavior with a particular focus on behaviors that can spell trouble for adolescents and young adults who have difficulty understanding and maintaining social boundaries. Using a direct and simple style with lots of examples and hands-on activities, the book takes an idea or behavior and breaks it into five parts to make it easier to understand the different degrees of behavior and, eventually, the consequences of one's behavior. A section is also devoted to anxiety and how to cope with this emotion before it begins to escalate, often leading to impulsive and unacceptable behavior. Throughout the book, the reader is encouraged to think about and create his own behavior and anxiety scale that applies to his particular emotions and situations. Provides a unique glimpse of daily life from the perspective of Chelsea, an 11-year-old girl, who has severe autism. Chelsea sees kids on the playground and at the park and wants to get to know them, but social interaction can be tricky for her. She explains some of her behaviors and challenges and compares them with issues that all kids face. By demystifying her autism, she underscores the many things she and her schoolmates have in common. Chelsea discusses issues of eye contact and explains echolalia. She cheerfully shows us that if we look closely, we are sometimes more similar than different, and she brings a fun and clear voice for children who cannot articulate the challenges that autism presents. A practicing psychologist offers a new approach to developing social skills and relationships in children diagnosed with autism or Asperger's Syndrome. Dr. Gutstein describes ways to steer these children onto a bright new path of self discovery and social awareness, one that will ultimately bring them home to meaningful friendships, shared emotions and heartfelt connection with the people in their lives. We're often asked for resources that show human faces expressing human emotions. This book has more than 3000 photographs of the faces of 50 males and females expressing an extensive range of moods and emotions - shown from multiple angles - in a series of sequential-expression photos. While the intention of this book is as a reference for artists, we hope it might be useful when teaching children - especially those on the on the Autism Spectrum - about faces and emotions. This book provides a simple visual model to help children experience more success in finding common ground in conversation. The "Green Zone" is a visual representation of finding common ground between one person (blue) and another person (yellow) to create a "green zone" that represents the pair's shared interests. The book, illustrated with dozens of photographs representing the range of other people's interests, clearly explains what the "Green Zone" is and how to find it, and contains many photocopiable conversation practice activities and reinforcement worksheets based on this simple visual. Ideal for use in classroom settings or at home, this attractive, full colour book is suitable for children on the autism spectrum aged 7 and up. Narrated by a superhero called Self-Control, this illustrated book provides a variety of super power strategies to help children with emotional and sensory regulation difficulties, aged approximately 4 to 7 years, to master self-control. Teaches how to calm themselves using self-massage, deep pressure, breathing exercises, and activities such as making an imaginary list and finding their own peaceful place ... Also features an appendix with photocopiable super power charts, reinforcers, and reminder tools to ensure that parents, teachers, and other professionals can support children in upholding superhero strategies even after the book has been read. This is a unique teaching resource for both professionals and families with individuals of all ages and abilities on the autism spectrum. It continues the teaching approach from the first book, adding new ideas for teaching and reinforcing social and behaviour management skills across an expanded range of age and abilities. It lets readers benefit from work done with the scales over the past 10 years. This results in refinements to the original scales, as well as lots of new scales specifically designed for two groups of individuals: young children and those with more classic presentations of autism. Packed with simple ideas to regulate the emotions and senses, this book will help children tackle difficult feelings head-on and feel awesome and in control! From breathing exercises, pressure holds and finger pulls, to fidgets, noise-reducing headphones and gum, the book is brimming with fun stuff to help kids feel cool, calm and collected. They will learn how to label difficult feelings, choose the perfect strategies and tools to tackle them, and use these correctly whether at home or at school. The strategies and tools are accompanied by cartoon-style illustrations, and the author includes useful tips for parents as well as handy visual charts and checklists to track learning and progress. Armed with this book, kids will be well on their way to managing difficult emotions and feeling just right in whatever situation life throws at them! It is suitable for children with emotional and sensory processing difficulties aged approximately 7 to 14 years. Making friends can be a challenge for all children, but those with autism spectrum disorders (ASD) can struggle more than most. This collection of ten fully illustrated stories explores friendship issues encountered by children with ASD aged four to eight and looks at how they can be overcome successfully. Key problem areas are addressed, including sharing, taking turns, being a tattletale, obsessions, winning and losing, jealousy, personal space, tact and diplomacy, and defining friendship. The lively and entertaining stories depersonalise issues, allowing children to see situations from the perspective of others and enabling them to recognise themselves in the characters. This opens the door to discussion, which in turn leads to useful insight and strategies they can practise and implement in the future. Each story has a separate introduction for adults which explains the main strategies within it. This book helps educate the classmates of a child with AS,about autism. A peer narrator explains that his friend with autism is good at some things and not so good at others�just like everyone else! In an informative, positive tone, he addresses issues such as: Sensory Sensitivity, Communication Differences, Unique Ways of Playing, and Insistence on Routine. Awareness and acceptance of children on the Autism Spectrum is the aim of this book. Page-by-Page Notes for Adults, supplement the text with facts and explanations. This highly visual social skills book uses computer metaphors and visual diagrams to help children on the autism spectrum to understand how their words and actions can affect other people. Easily identifiable computing and social networking metaphors are used to explain how memories are saved in the brain, like files in computer folders, and how, just as files can be shared and downloaded on the internet, people learn about you by sharing their positive and negative impressions with each other. The author explains why certain actions may be 'liked' or 'disliked' by others, and offers guidance on appropriate and inappropriate social behaviour.This book also features photocopiable worksheets to reinforce the guidance and lessons offered in the book. The self-control super hero is back, this time prepared with simple strategies to tackle the difficult emotions and challenges of everyday life. From the morning routine to making friends at recess, paying attention in class, and getting a good night's sleep, this guide will help children stay on track and save the day! Focusing on specific times of the day that present particular challenges, this book includes breathing exercises, stretching, and visualization techniques to help children aged 4-7 keep calm and in control, with additional resources for parents and educators. Many parents are not sure of what to say and do to help their children improve their social interactions. This book helps open the door of communication between parent and child by addressing 100 social rules for home, school, and the community. Using simple, easy-to-follow rules covering topics such as body language, manners, feelings and more, this book aims to make students' lives easier and more successful by outlining specific ways to interact with others on a daily basis. A dynamic teaching tool for children with autism or Asperger's Syndrome, "The Social Skills Picture Book" offers pictures of the right and wrong ways to handle nearly 30 social skills, such as conversation, play, emotion, management, and empathy. The Social Skills Picture Book for High School and Beyond offers a visual learning format. Photos of actual students engaging in a wide variety of social situations show, rather than tell, the right (and wrong) ways to interact in different circumstances. They visually illustrate the positive and negative consequences of both ways of interacting. The book also offers instructions for students & families to create their own social skills booklets. The social skills address real-life situations that are important to teens, such as: making new friends, asking someone out on a date, doing difficult schoolwork, interviewing for a job, and much, much more! Meet the Keep-Calm Guru, our expert guide to the art of staying cool, calm, and in control in the face of overpowering feelings! Helps children to recognize and cope with anxiety, anger, frustration, and other difficult feelings and emotions. Using everything from yoga poses and pressure holds to deep breathing and relaxing colouring activities, this illustrated guide provides children and adolescents, from around 7-14 years, with wisdom from the Keep-Calm Guru to help them stay in control. When parenting, teaching and working with children who have social, emotional, and/or sensory sensitivities, we often put the emphasis on learning new skills. Countless hours are spent working on social skills, fine- and gross-motor skills, language skills, and academic skills, but stress management skills are often left unaddressed. This is unfortunate, as stress can create a multitude of challenges for learning and daily living. In other words, it can create barriers to the very things we are trying to teach. Besides, it can cause distress, which can lead to meltdowns and behavioural outbursts. In short, it is crucial that children learn and develop skills to help them to manage their stress as independently as possible. This book is a stress management workbook that is meant to be read, completed, and used as much as possible by children themselves. Its fun graphics and interactive style make it ideal for children grades 3 through middle school. Children with A.S. usually have difficulties understanding metaphors. Using words and illustrations this book sets out to explain the meaning of many of them. Any parent or teacher working with Asperger's will find it beginning to open the doors of imagination for the child in ways that they might not have thought possible. A lovely and practical book, which children and grownups can enjoy - and giggle over - together. There is now a set of cards What Did You Say? What Did You Mean? For information see "Card Sets"